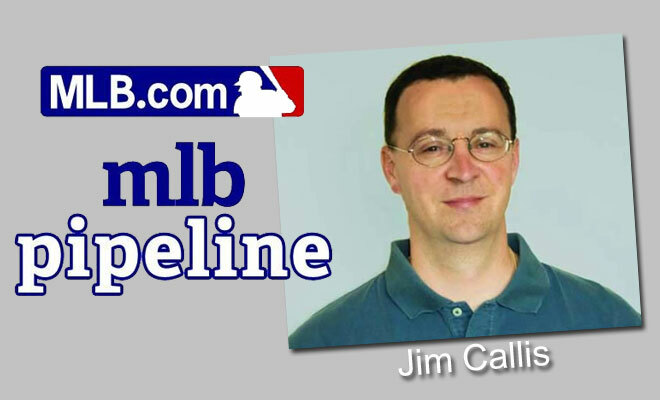 There’s no one better to talk to about the MLB First-Year Player Draft and baseball’s top prospects than MLB.com’s Jim Callis, who has covered the draft and prospects since 1988. Dan Zielinski III: You were at the Arizona Fall League, what did you make of Tim Tebow’s performance? Jim Callis: I don’t think he plays in the big leagues, at least based on merit. His power doesn’t come out in the swing. He’s really rough as a left fielder and a base runner. I thought he would swing and miss and chase a lot more. He really didn’t do a whole lot of that. He hits the ball pretty far in batting practice if he catches one, but he doesn’t seem to do that in a game. He did make some adjustments and got better at the plate from the first half to the second half of the season. I do think he’s sincere. I don’t think it’s going to end with seeing him at Citi Field. But, I will give him credit, he’s better than I thought he’d be. DZ: You were high on the Brewers farm system in August, why do you believe their system is one of the best in baseball? JC: They definitely have one of the better farm systems in baseball. It’s extremely deep. They made some nice acquisitions this year, getting guys like Lewis Brinson, Luis Ortiz and Phil Bickford, and drafting guys like Corey Ray. I just see a lot of talent in the system to begin with. Guys like Josh Hader, Trent Clark, Isan Diaz and Marcos Diplan. I just think they’ve done a really nice job of acquiring talent, drafting talent and developing the guys they have. DZ: Do you agree with their decision to select Corey Ray with the fifth overall pick in the 2016 draft over a guy like Jason Groome, even though they lack a top pitching prospect with No. 1 starter potential? JC: I thought Corey Ray was a good pick there. Jason Groome was such a polarizing guy in the draft. There were a lot of makeup concerns with him, and I think that scared some teams off. I think it’s a little different if you’re a team like Boston, who already has a good major league team, and you’re picking 12th and he falls in your lap. I think it’s easier to pick a Jason Groome there than if you’re picking at No. 5. You could argue that either way. But, there is not very many athletic college position players in a draft. Getting a guy like Corey Ray at No. 5, I think you feel pretty good that he’s going to hit and hit for some power. He can run and play defense. He’s a pretty good all-around player. 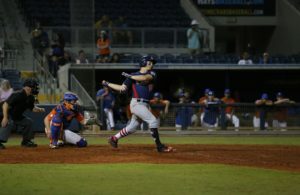 DZ: Who is some underrated prospect in the Brewers farm system that you think will have a chance to contribute at the major league level someday? JC: There’s a few of them. I don’t think Marcos Diplan has gotten a lot of recognition because he’s pitched mainly in Class A ball. You are talking about a guy at 19 years old this year who was averaging more than a strikeout per inning. He can really pitch. He has a nice fastball-slider combination. I don’t think people really realize how good he is. Lucas Erceg made some noise in his pro debut. Real nice pro debut, hitting .327 with nine home runs in 68 games. He has a chance to be an impact bat. I really like him. A guy who was the player to be named in the Jonathan Lucroy, Jeremy Jeffress trade is Ryan Cordell. Ryan Cordell is a really good prospect too. The Brewers obviously have a ton of outfielders so he might have a hard time winning a starting job when it’s all said and done. But, you’re talking about a guy who is pretty toolsy and versatile. He can play all three outfield positions. The Rangers used him at third base and shortstop as well. DZ: What’s Marcos Diplan’s ceiling? JC: His ceiling is probably a No. 3 starter. He’s not a very big, physical guy. But, he has a chance to have two plus pitches. He needs to refine his control a little bit, but he misses a lot of bats. I could also see maybe he’d make a nice reliever if he doesn’t make it as a starter. He’s touched 98 mph. If you let him blow it out for an inning at a time, he might have a real power arm. DZ: The 2017 MLB First-Year Player Draft is over six months away, even though it’s early, how would you evaluate the draft class at this point? JC: It seems like every year we say that the talent isn’t very good and that this draft isn’t really exciting, but I just think that’s the nature of the draft. I don’t think that’s fair. I just think teams do such a good job signing guys out of high school that it always kind of hurts the college crop three years later because all the guys are signed. This year’s college position player crop is not very good. It’s an average draft. The high schoolers are better than the college guys and the college pitchers are better than the college position players by far. DZ: Do you also believe that one of the major strengths of the 2017 draft is the college pitching? JC: I think if you’re looking at the top 10 picks of the draft and trying to project them out right now, I think there’s a pretty good chance half of them would be college pitchers. That said, even in a draft where the college pitching isn’t as strong, teams elect it to be the case because they are always looking for pitching and college guys get to the majors quicker. There is also risk associated with the high school pitchers in general because they are farther away. DZ: Is Hunter Greene the top prospect? Do you view him as a pitcher or shortstop? JC: I think he is the top prospect as of now. 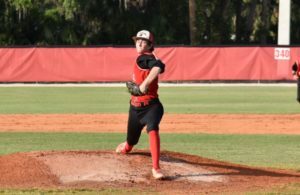 A high school right-hander has never gone No. 1 overall. While that doesn’t mean it can’t happen, I just think teams are reluctant to pick one that high. I think teams are definitely looking at him as a pitcher. If he was a shortstop he’d still be a first-round pick. As talented as he is as a shortstop, I’d be surprised if he didn’t get drafted as a right-handed pitcher because he’s so good on the mound. DZ: In the new CBA that is proposed, there’s an international draft. 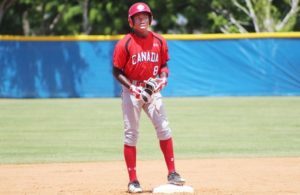 Would an international draft be a smart decision for baseball? JC: If I was an owner I’d like it because it would reduce my costs on what I spend on these guys. I think the logistics of administrating an international draft would be extremely difficult, and I would not want to have that job. Also anytime they make changes, there is always unforeseen consequences. In the last CBA, they set up a system with international bonus pools and they thought it was going to curtail spending. Teams have just disregarded the pools for the international sides. The rules aren’t deterrent. I don’t think they are going to blindly accept an international draft and there might be more unforeseen consequences. I can’t imagine that we’re going to have a long-term shutdown for an international draft. I don’t think it matters that much to the players and owners to have a lockout or strike. 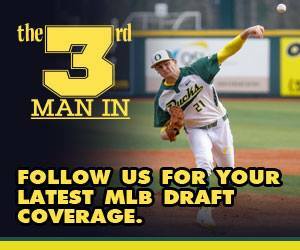 Read my prospect and MLB Draft coverage here.